Is A 4x4 Van 4 Me ?? First let me tell you this is not a business and I do not have an inventory to sale you. on your smart phones and tablets. My hobby for many years has been customizing vans & trucks. I'm not a mechanic and I did not convert my vans to 4 wheel drive. 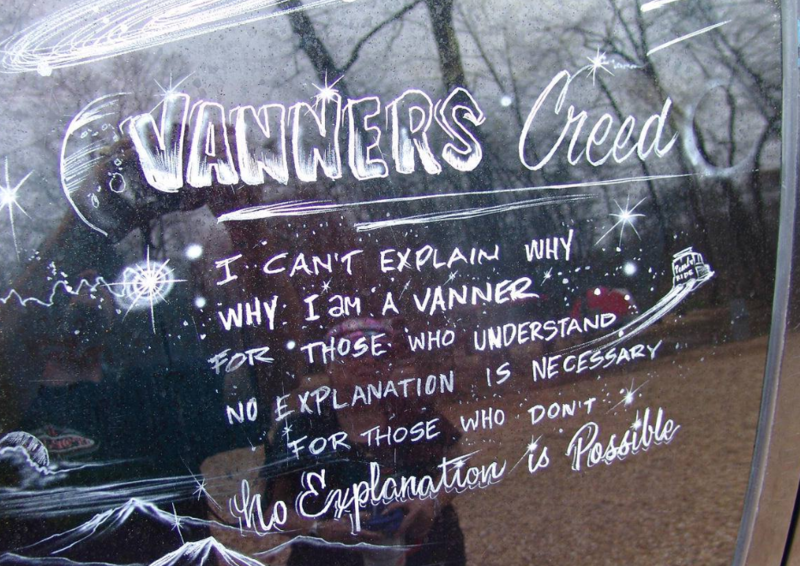 I am now retired, but what I use to do for fun was customize my vans once the 4x4 components had been installed. 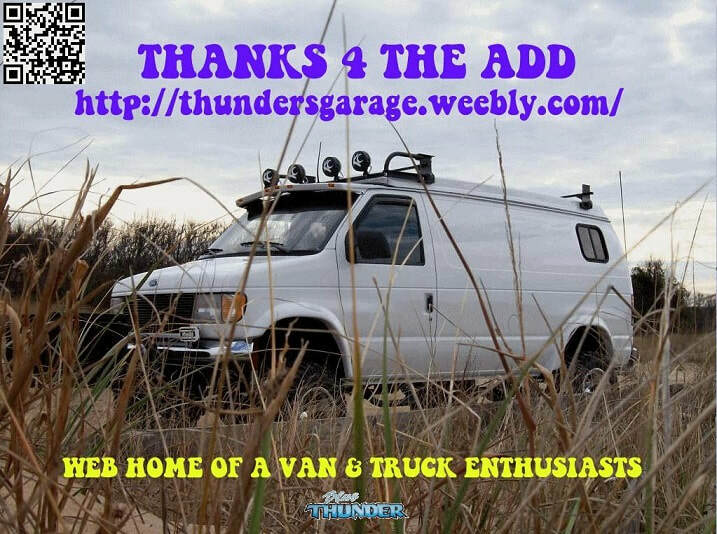 Thunders Garage is only my web home and not an actual working garage, but now your source for everything related to 4x4 vans. I still enjoy attending truck & van runs, but no longer show my rides or judge local/National auto shows. I do enjoy talking with others about all the fun I have had and of course sharing some of my favorite pictures with other enthusiast. 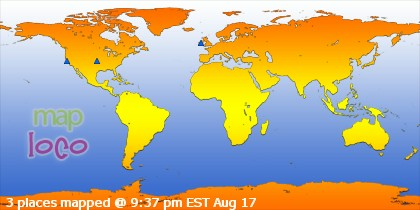 Now thanks to the Internet I can share the experience with other truckin' buffs around the world. Be sure to view some of the VAN, TRUCK, & SUV FREE CLASSIFIED ADS submitted by their owners. This 4 sale web page is a MUST VIEW if you are in the market for a customized ride or just looking for some great ideas on how to customize your vehicle. If you have a CUSTOM 4x4 RIDE that is "FOR SALE" and would like me to list your vehicle at Thunder Garage, it is totally FREE, surf HERE to find out how. I have helped sell many NEW and USED custom rides over the years from my very popular web sites and you will benefit from having your ride parked in my garage for the world wide exposure it will give your ad. My very first sell was my own personal 4x4 van where the buyer traveled cross-country from New Mexico to drive it home. Be sure to view my events page and learn about upcoming events world wide. If you have an event flier and want it posted here, send it to me for consideration. 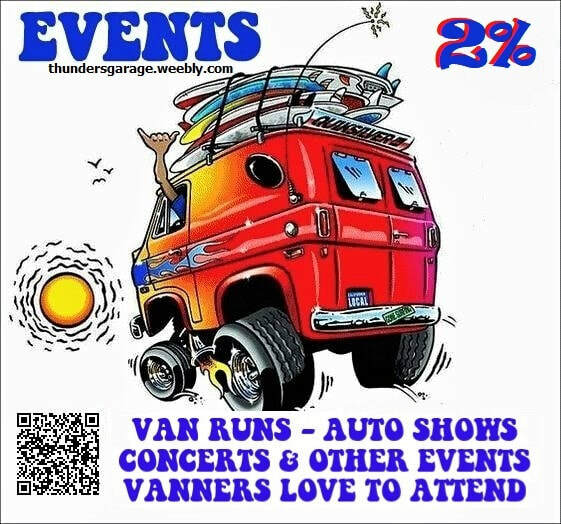 Follow Thunders Garage on Pinterest.